Dr. Owens received her undergraduate degree from Texas A & M University in College Station, Texas and her medical degree from the University of Texas at Southwestern Medical School in Dallas. She completed her internship and residency at Southwestern and stayed to finish a gastroenterology research fellowship. She then completed her clinical gastroenterology training at the University of Colorado in Denver. Dr. Owens is board-certified in both Internal Medicine and Gastroenterology. 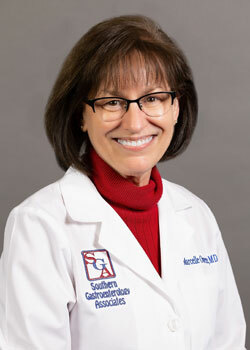 She is a member of the American Medical Association and the American Gastroenterology Association.